The main arena in BPM 2012, where many of the big performances happen. It’s been a steady BPM but lacking in surprises, with most of the new stuff already known to us and reported on. 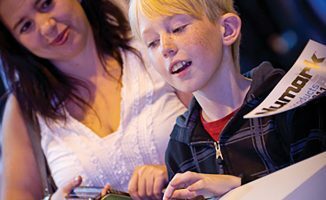 But it’s been busy (the organisers said they had the busiest first day ever, for instance), and there was a good range of people, from wide-eyed kids towing their parents behind them, to seasoned industry veterans, still eager and excited to see what’s new. Today I’ve collected lots of pictures taken from around the show over the last two days, everything from weird and wacky products to a VW van! 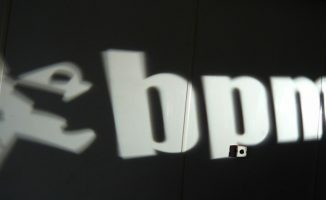 I hope you enjoy them and that they give you a flavour of BPM 2012. If you made it here and we didn’t bump into you, sorry to have missed you. And if you couldn’t get down this year, hope to see you here next year! 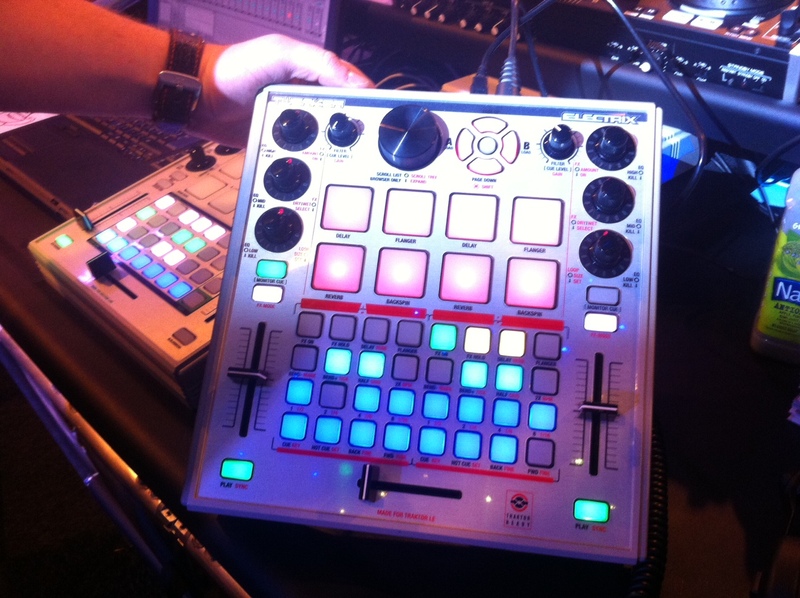 A long time in the pipeline, the Electrix Tweaker finally showed its face at BPM. Seemingly forever in the pipeline, the long-ago-announced Electrix Tweaker finally showed its face at BPM. 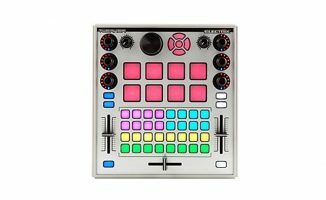 It’s a universal Midi controller (no built in sound card) that has velocity sensitive pads, three faders and lots of Ableton-esque trigger buttons. It ships with Traktor LE, and comes with overlays for Traktor LE and for Ableton Live, but there will also be blank overlays in the box for users to annotate as they map it to their own software. Electrix told me a Serato Scratch Live mapping is coming too. The Pioneer DDJ-SX for Serato DJ. 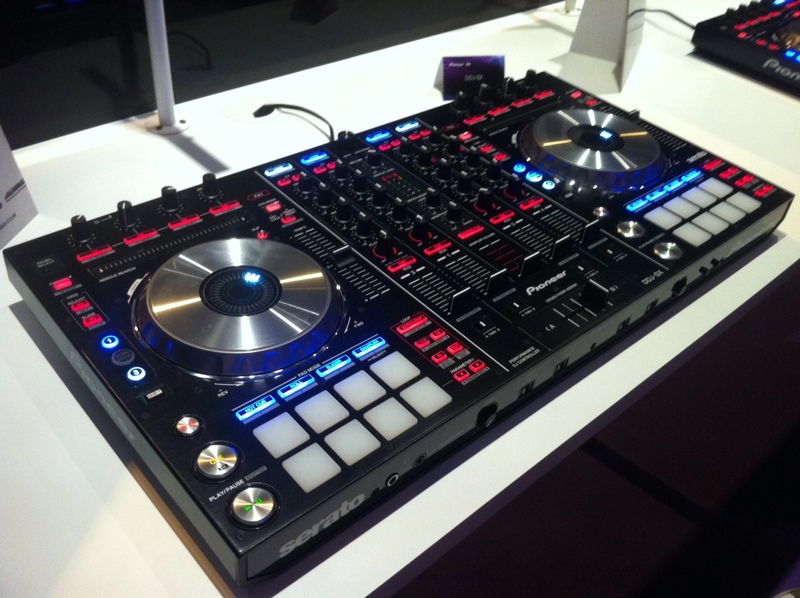 We’ve already announced the Pioneer DDJ-SX, but we got to see it in the flesh. Unlike the Pioneer XDJ-AERO, which we also saw here and which feels plasticky and a little underwhelming, the DDJ-SX is a fantastic-feeling controller. Although it was only in demo mode (ie they didn’t have Serato DJ software to show off), you could get a feel for how desirable a product this is going to be among a certain section of DJs. I think it will appeal mostly to home DJs who want to best, because it’s hard to transport, being so big. It is the ultimate control surface for Serato, and I think it will convert a few users of other software too. Fully Apple certified, here it is: Proper DJ audio from the iPad. 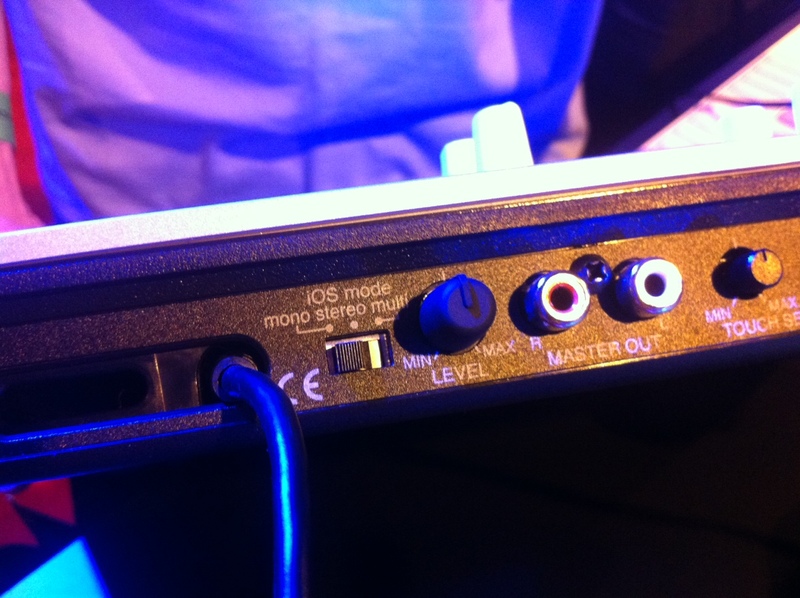 Here’s the proof that Vestax has got proper, dual stereo outputs in a controller for the iPad for the first time: That little switch gives the game away on the back of the new Vestax Spin2 DJ controller for iPad, iPhone, iPod Touch and Apple Mac. We ran around the show with an iPad plugging it in to lots of DJ controllers to see which ones played well with it (more on that soon), but this one does – officially. Vestax’s web broadcast mixer: One for the bedroom TV producers and VJs. Video DJs, web broadcasters and home video producers will be intrigued by the new PBS-4 web broadcast mixer from Vestax. The company was broadcasting live from the show using this little device, which takes composite camera inputs, HDMI, and VGA (ie from a computer for screenshots), and lets you mix them all live to one stream, that can then be broadcast via your computer to services like Ustream. It’s not broadcast quality (it’s not even HD), but it is a small, presumably relatively cheap and handy solution for making videos and broadcasting from your bedroom. Me-too controller #354: The Core. There were a range of products from DAP Audio that underwhelmed in their features and differentiators. 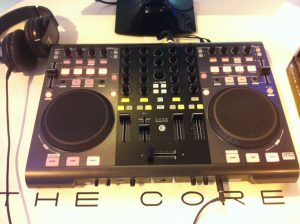 Around the edges of the show, there were as usual a handful of generic copies of DJ controllers from unheard-of brands. 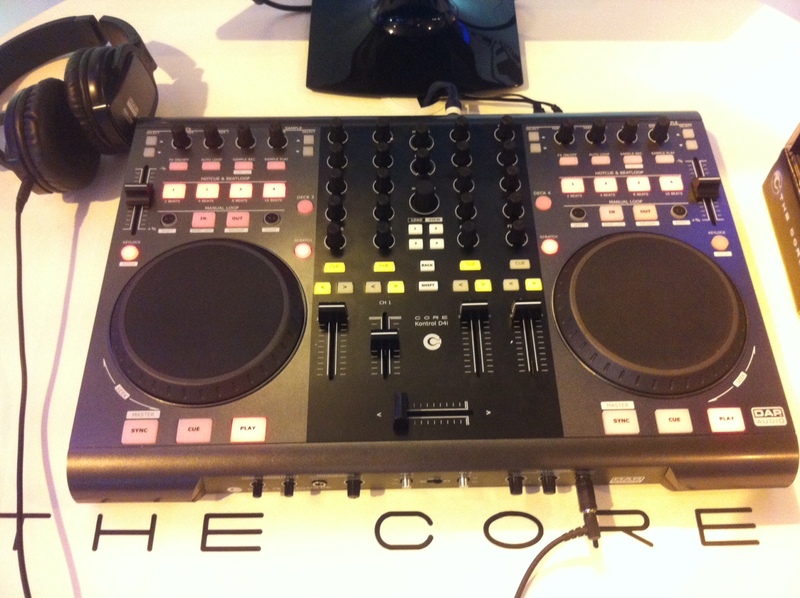 What was unusual about this controller, and indeed a full range of “The Core” products including USB mixers, is that they were on a big stand at the front of the show, by DAP Audio. Running Virtual DJ, this and a smaller controller were nonetheless completely underwhelming, and indicative of the fact that to stand out nowadays, you need to do much more than introduce a couple of me-too controllers, book a stand and hope someone will notice. 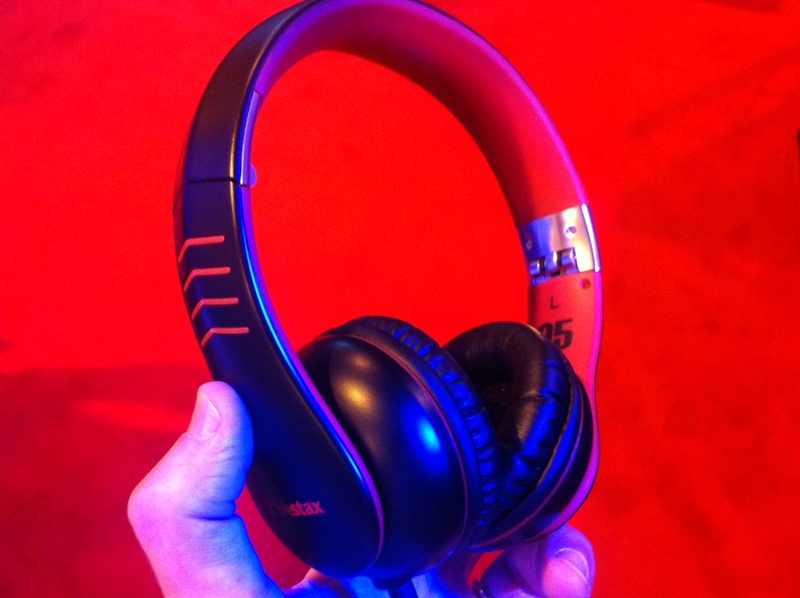 The Vestax HMX-05 headphones: The company had some innovative products on show, but this wasn’t one of them. The Vestax HMX-05 headphones are – and our older readers will know exactly what I’m talking about here – kind of like those headphones that were always wired in to vinyl listening booths in record shops. Functional, durable, sound OK but you wouldn’t really want them as your own. These are kind of “Beats Lite”, and while they had detachable cables (always a nice touch), unless they come in at a very low price, they’re just an also-ran product in a very crowded market place. A curious release. The CD Pool VW Van: A splash of bit of fun in a sea of black boxes. There were certain brands and stands that introduced a bit of class and humour among the “look at us!” flashing lights and masculine protrusions of the big tech companies. 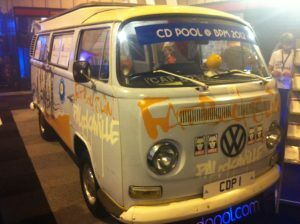 The CD Pool had a pimped VW van as the centrepiece of its stand; high-end PA company Funktion 1 had a Britain-themed booth complete with stylish furniture and nicely framed pictures of its big concert installations; and there was even “the smallest club in the world” – with doormen, DJs, an MC… and room for six people inside. Its name? 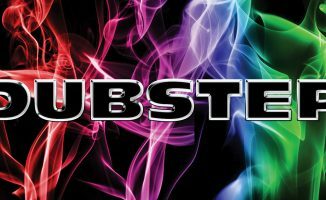 “Miniscule of Sound”! So while the early flurry of press releases over the last two weeks spoiled the surprise factor for many of the new products on show here, it was still a spectacle, with lasers, lights and infinite sound systems all assaulting your senses, and iPhone 5-like rushes past the ribbons when the show opened every day at 11am. However, you get the sense that the next year will be more exciting than the last; many manufacturers hinted at a lot of new products due at the January NAMM show, when we’re no doubt going to see Serato DJ controllers, and also start to see more moves in the iPad-replacing-laptop direction. Of course, as always Digital DJ Tips will be there en masse, so expect lots of reports for the floor of that show at the end of January. What has caught your eye the most this year? Anything you were expecting to see but didn’t? Please share your thoughts in the comments. Glad you enjoyed it, sorry we didn’t get to say hello. Definite lack of surprises –but in a way its good too know that people in the market for gear would be relatively safe buying now, because all the cards are on the table so to speak. The controller from “The core” reminds me of the long awaited behringer cmd series.. by the way any news about these? Not sure why that controller got such a negative reaction – looks pretty nice to me! Interested to see their other offerings but can’t sem to locate them online… anyone got a link? It is just that it (and the smaller one which was worse, it had awful jogwheels) offers nothing new, and the staff had no interest I could see in getting people involved. I just can’t see a range like this taking off if nobody has any passion to promote and explain it. 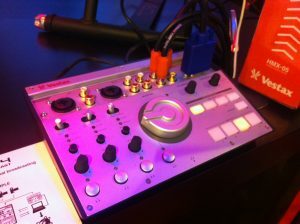 Hey Phil, Was nice briefly meeting you at the Pioneer stand at the beginning of the event, Looking at that new DDJ-SX! Yes, There was a lack of surprises, but for me I got everything I wanted out of it. I’m looking for a new controller, So I was able to get my hands on both the 4Trak and the DDJ-SX and weigh up the hardware of both. But not only that but also gather numerous information about other products, and of course network with like minded people! Who did you get the feel for? The 4track or the ddj-sx? I’m thinking of replacing my ns6 and it stands between these two. Enjoy the show this year, was a pleasure meeting you u on the benches before opening on the Saturday. 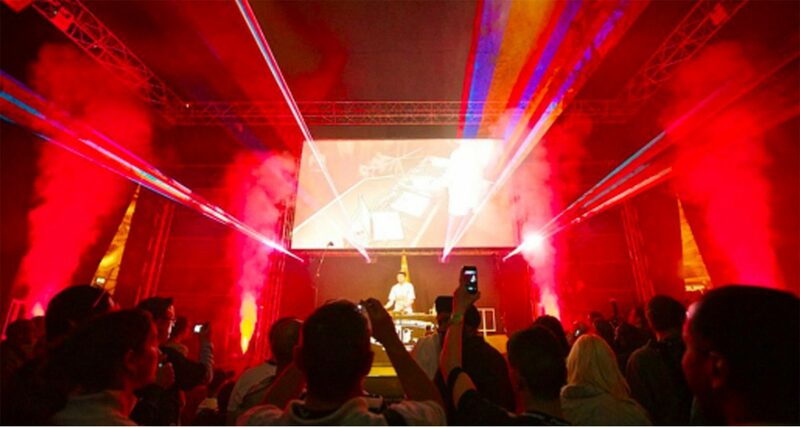 The dance classics arena with the kv2 system and chauvet lighting was my highlight. Keep up the good work Phil. Love the site!!! Hi guys, I want to know more, if possible, about that controller ‘The Core’ looks pretty good, exactly what I was looking for. I just can´t find anything about it. Why didn’t they have a working DDJ-SX? The sale-start is just some weeks away. It looks stunning and fresh compared to the 4-track that’s more like a face-lifted ns6. Flyer, most likely because Serato has to pull final touches on the software before it goes live. I remember when Numark came up with the iDJ Pro mixer for iPad and about 4 months later they had one working for real. I was surprised that Pioneer announced a new controller in such little time… Lets see if the promise of the best controller comes TRUE !!!!!! It feels like one superb controller, However I would certainly hold off pre-ordering for the basis that we don’t know what the software is like. 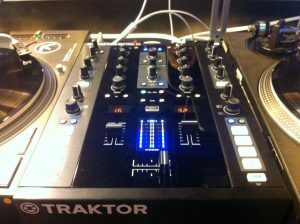 I will be maping it to Traktor anyway so if the software is no good it want realy matter that much. What I’m using right now was not maped to traktor originaly except for the Kontrol f1. But yes would be wise for people that want to use Serato DJ to hold of a little. 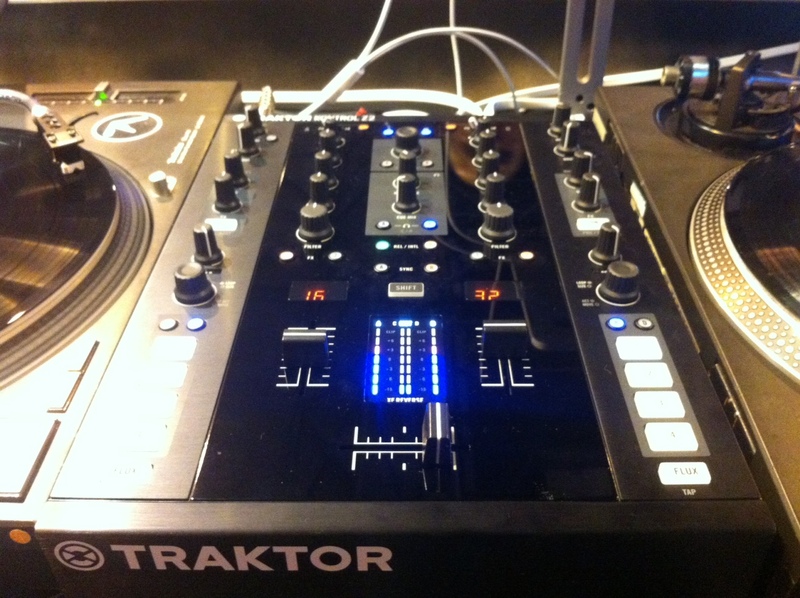 @ CalVic – Care to give us your pro’s & cons between 4Trak & DDJ-SX? Also spotted you Phil! I was present at the Oh Drat remixing workshop yesterday, but you scedaddled before I could say hi. What did you think of the Emulator’s smaller brother? The Smithson/ Martin multi-touch controller surface? That had to be my favourite piece of gear spotted. I’d also would like to know more about the Behringer modulars coming out…. It’s a lovely control surface, for sure, but pricy. phil for me as a simple dj the aero is a little bit more appealing.